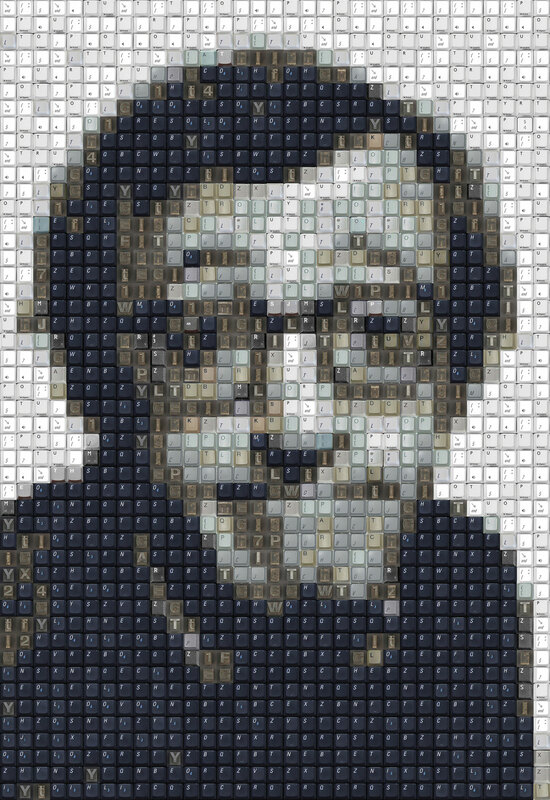 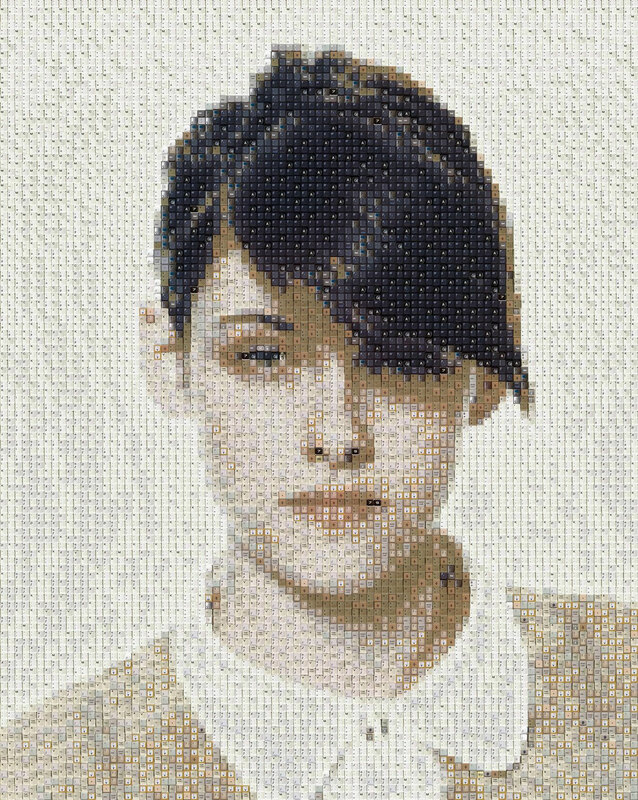 Australian artist Guy Whitby, otherwise known as WorkByKnight (or WBK) has a terrific eye for mosaic compositions, which (and we know from experience) is much more difficult and time consuming than it looks. 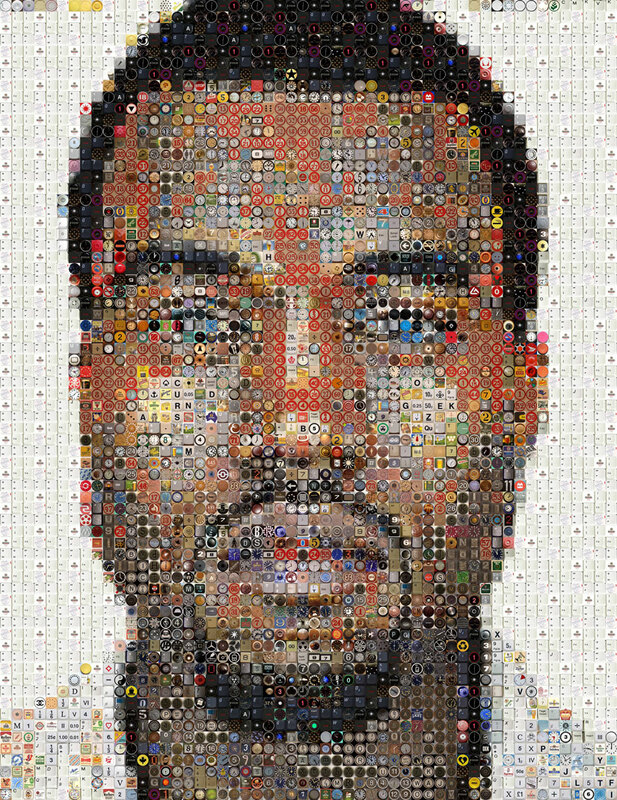 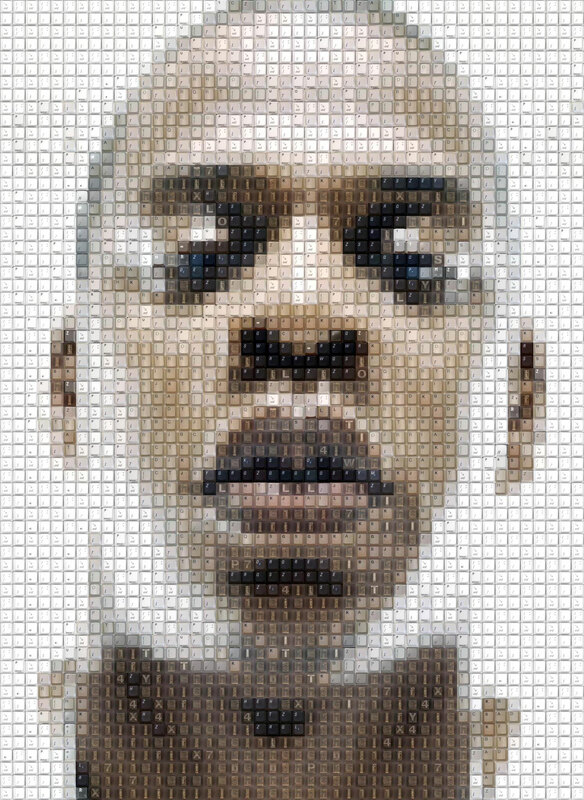 These pixelated portraits are deceivingly complex, and serve as visual commentary for the global shift from analog to digital. 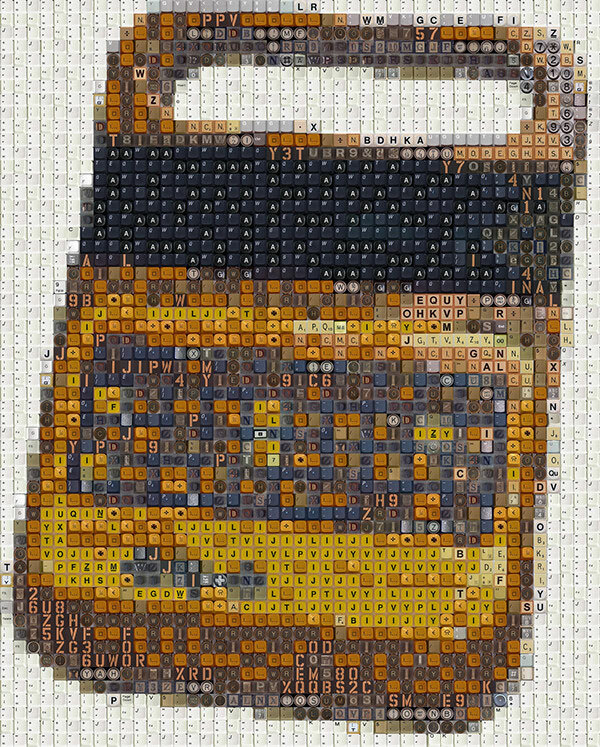 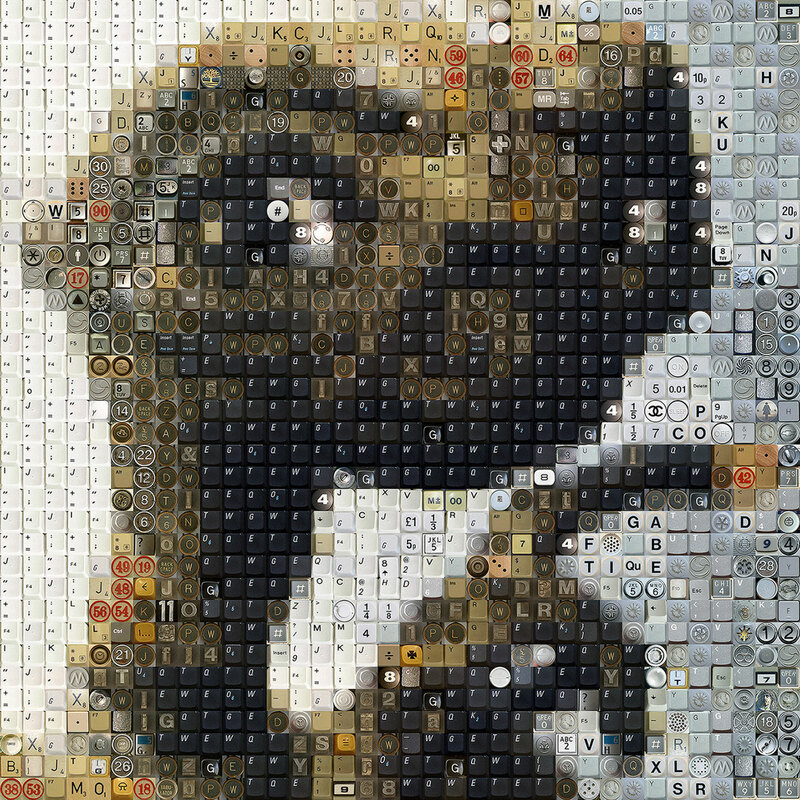 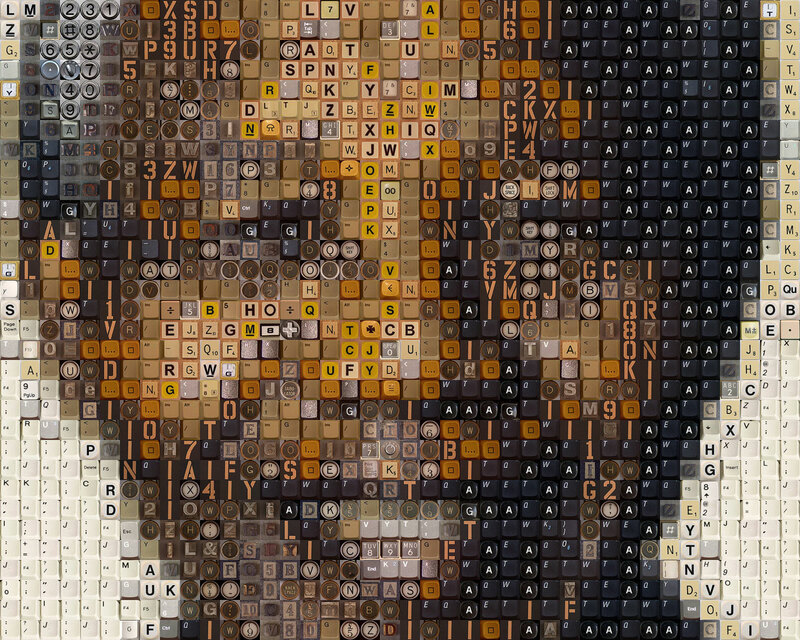 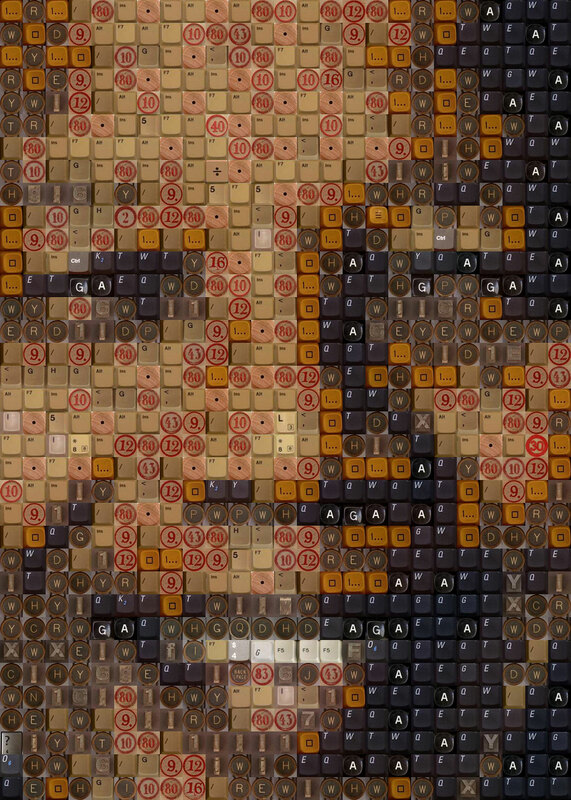 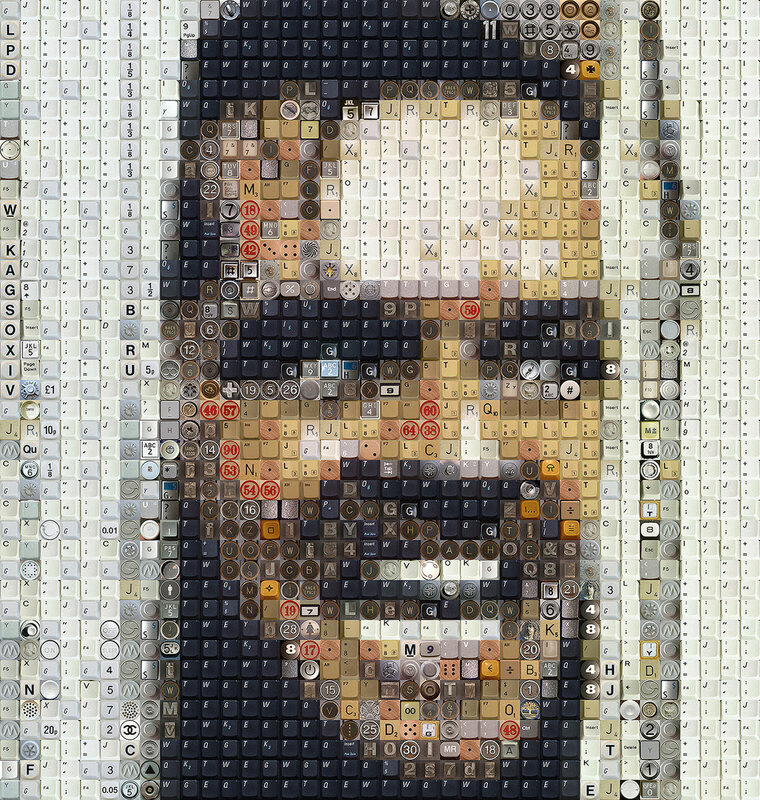 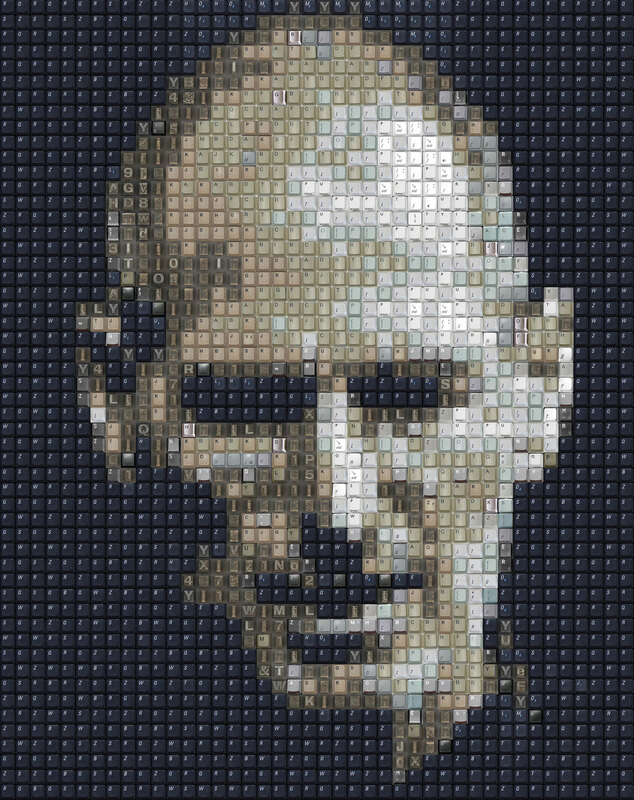 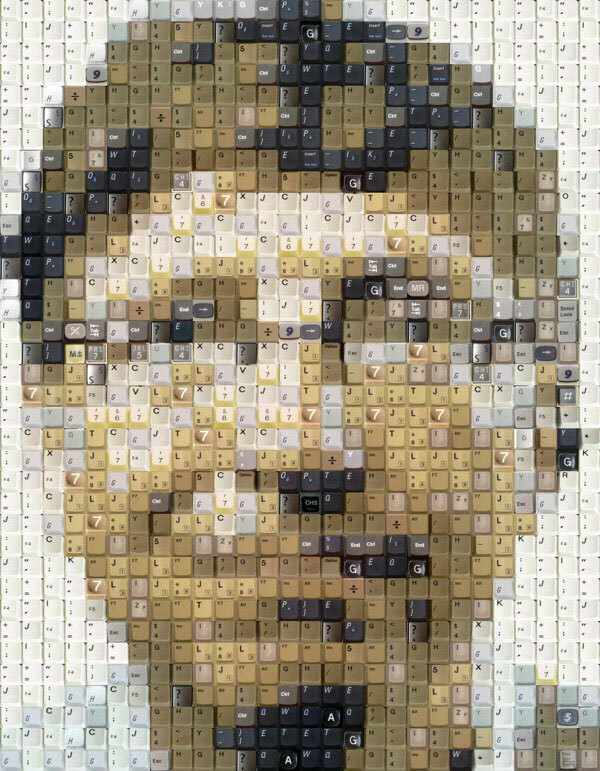 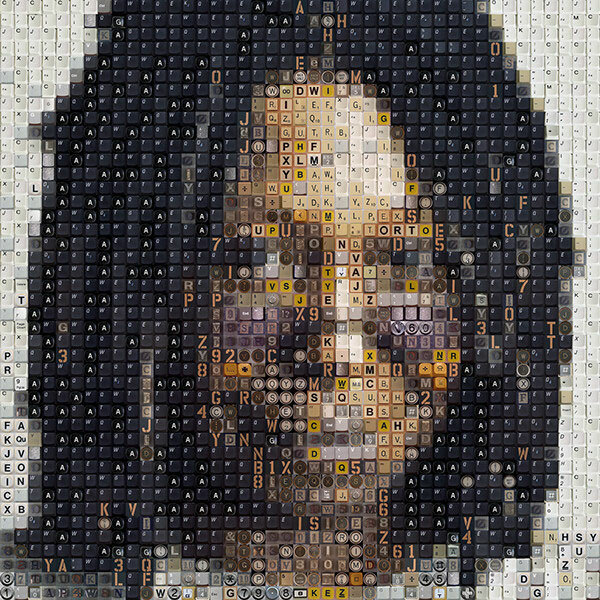 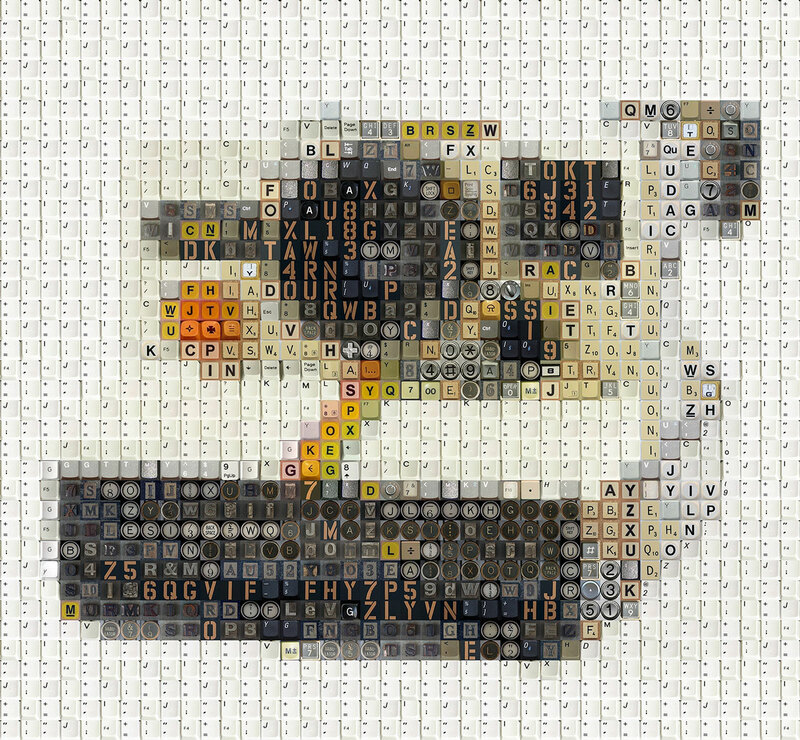 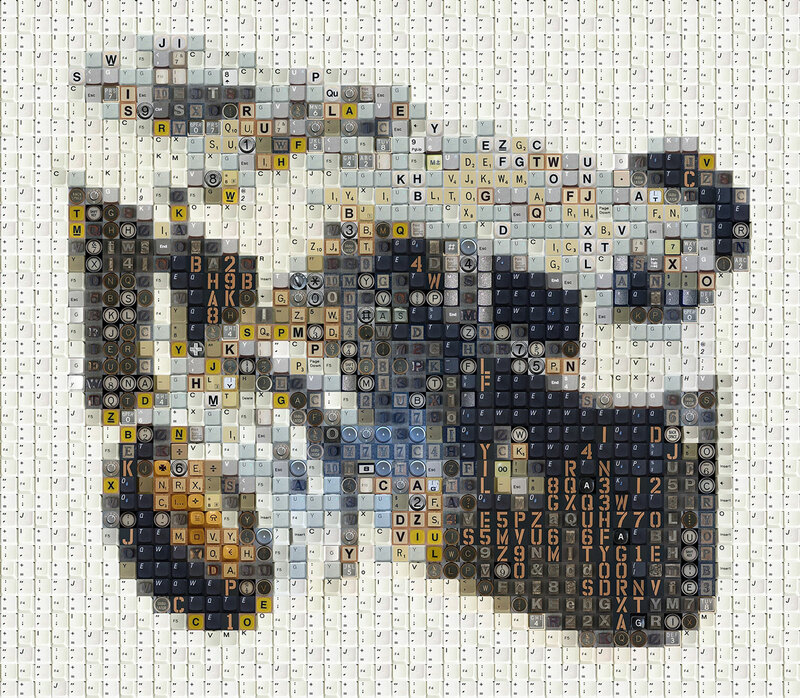 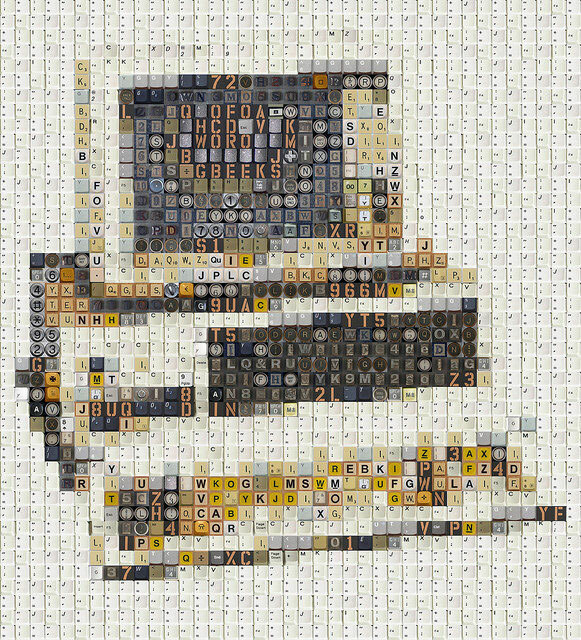 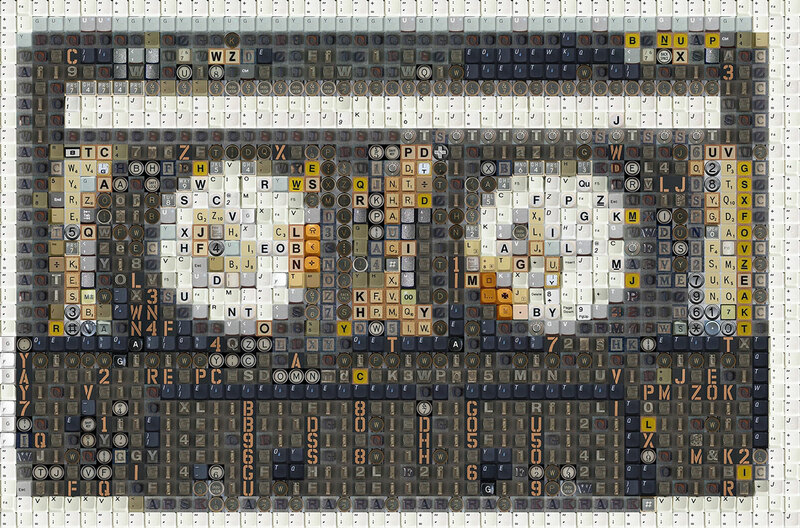 Each piece is made up of a variety of computer keys, along with analog and digital buttons. 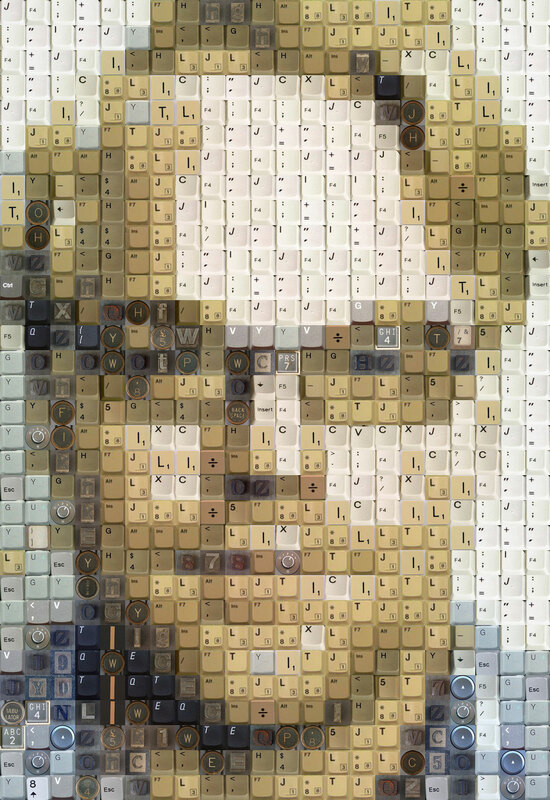 WBK meticulously places each button and key to serve as a pixel, if you will. 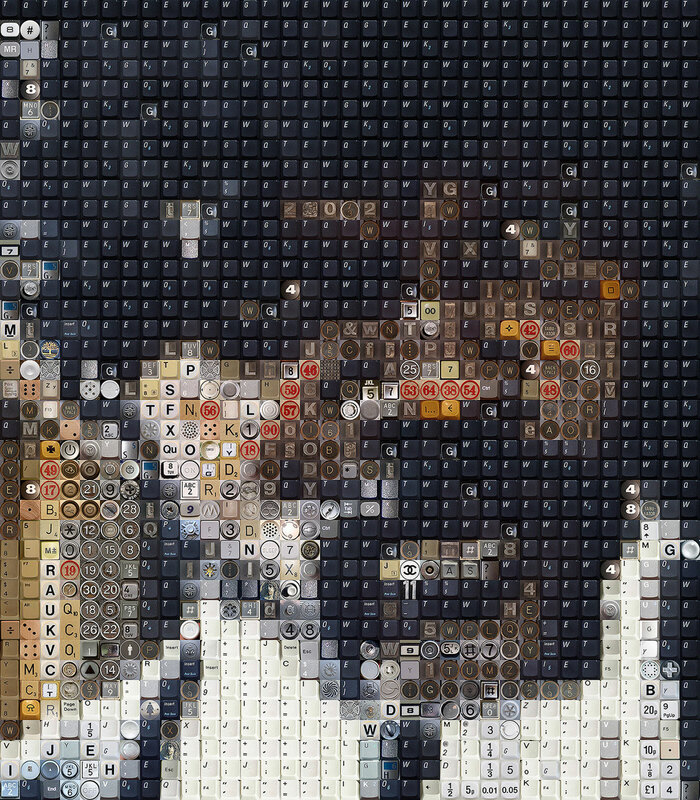 Though subjects vary, from celebrities and artists to musicians and political figures, to his most recent “Old School Tech” series of still life technological treasures, the quality of this remarkable work never falters. 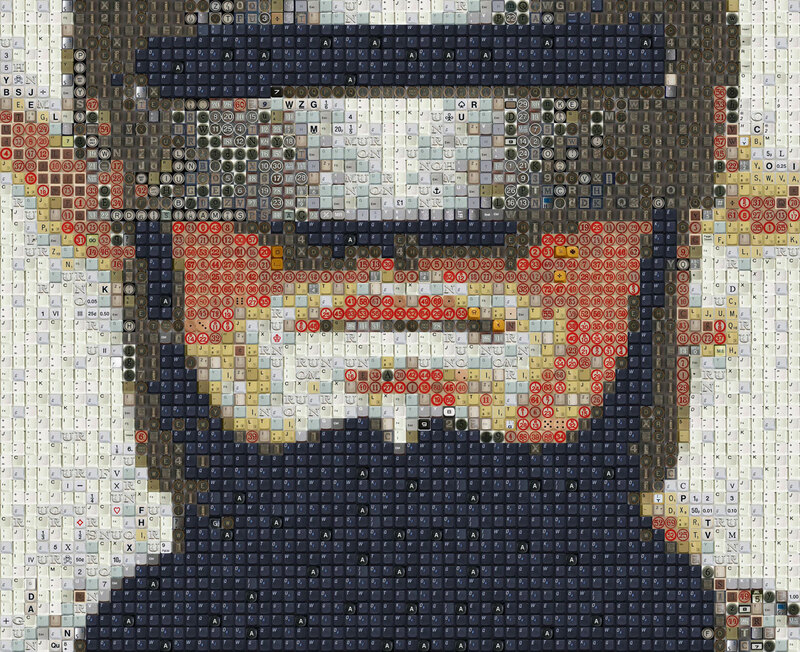 Truly amazing how strategic color choice and placement make otherwise analogous objects and shapes into something cohesive, and more importantly, recognizable. 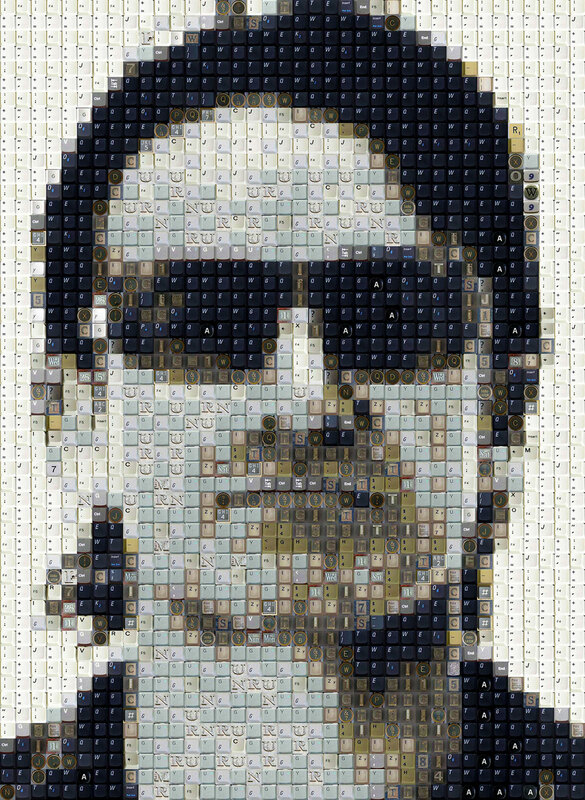 More mosaic posts here and here and here.